In a bid to protect insurance customers, Emergency Services Levy (ESL) insurance monitor Professor Allan Fels has issued guidelines to insurance companies ahead of next year’s removal of ESL from insurance premiums. The guidelines prohibit insurers from price exploitation and false and misleading conduct, punishable by penalties of up to $10 million to corporations and $500,000 to individuals. Fels said they would closely scrutinise any moves to increase premiums on property insurance prior to the anticipated removal of ESL in July 2017. The ESL, or the levy charged by the NSW Government to insurance companies each year to help fund fire services and the State Emergency Service, is worth around $800 million on the property insurance premiums of NSW homeowners and businesses. Fels was appointed by the NSW Government, along with deputy monitor Professor David Cousins, to monitor pricing by insurers during the transition period and ensure that policyholders receive the full benefit of the ESL removal from policies from 1 July next year. “I want insurers to understand [that] we are already closely watching to ensure they do not take early advantage of the opportunity to put premiums up as a result of the levy’s removal next year,” Fels said. “This is some months ahead of the legislation to bring in the property-based levy, and a significant departure from how the reform was done in Victoria. Having the monitor in place early means the potential for premium increases in anticipation of removal of the levy is kept in check,” Fels said. The guidelines state that the abolition of the levy should decrease the cost of property insurance premiums. The guidelines were developed in consultation with the insurance industry, and were submitted for industry feedback in early July. 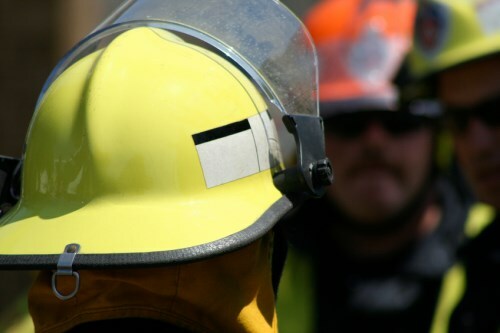 December last year, the NSW Government introduced the new system of funding fire services, the Emergency Services Property Levy (ESPL), to replace ESL. Effective 1 July 2017, local councils will collect ESPL from all property owners alongside council rates.